Wax Begonia (Begonia x semperflorens-cultorum) is an evergreen perennial, ornamental flowering plant. It has shiny, large, succulent leaves are either green, variegated, or bronze-colored and sprays of single or double, various shades of red, pink, or white flowers from mid-summer into autumn. Water your plant regularly during the growing season and always keep the soil evenly moist but not soggy. You can allow the top 1 inch of soil to dry out between each watering. During the winter months, reduce watering. Overwatering will cause leaves to turn yellow. It prefers an average room temperature of 65 – 75 degrees Fahrenheit / 18 – 24 degrees Celsius. 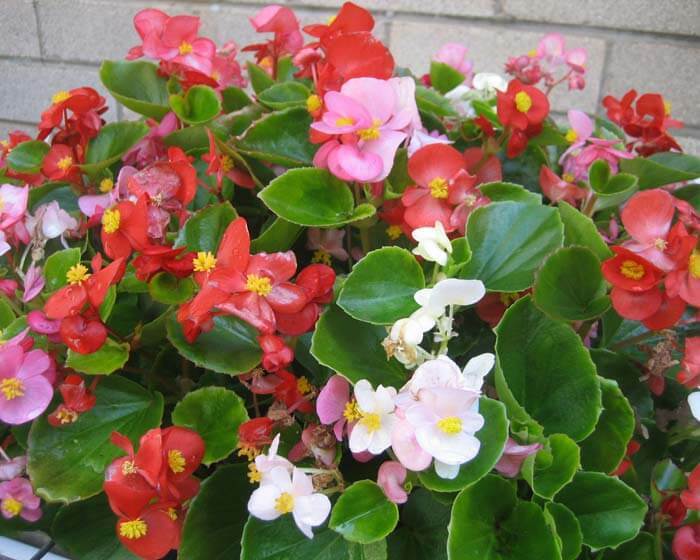 Wax Begonia is not cold-tolerant and can be harmed by temperatures below 50 degrees Fahrenheit / 13 degrees Celsius. It can be easily propagated by stem cuttings. Take stem cuttings in spring and root in fresh potting mix. Keep soil lightly moist. Cover the whole container and plant with a plastic bag or cloche to hold in humidity. Wax begonia seeds are tiny and slow to germinate. You can sow seeds in the spring, but it can take several months to grow. 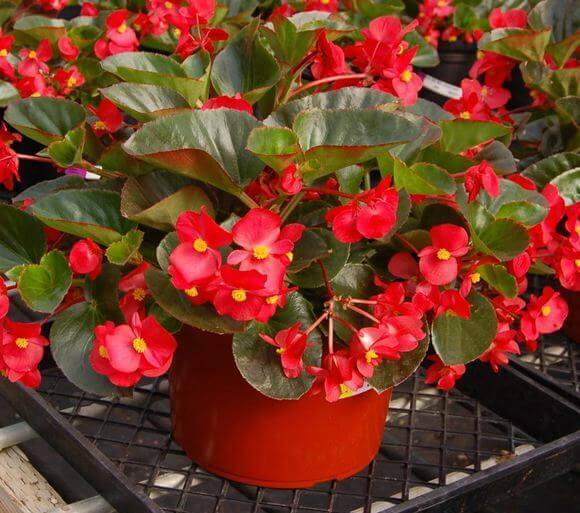 Wax Begonia has no serious pest or disease problems. It is susceptible to attacks from spider mites, mealy bugs, and aphids.